gripping tight in my hands so it couldn't escape me. lower and lower and retrieve the memory. i prefer simply to pick up another. and this might be false. the way), and isn't this more or less the same thing? 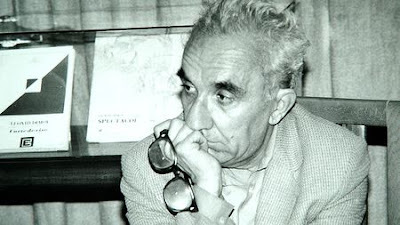 Mircea Ivanescu is one of the most original of all Romanian poets. 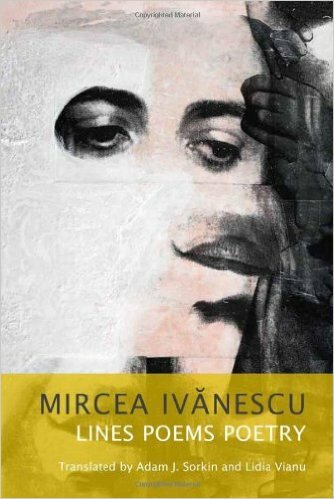 Deceptively self-contained, refined, gently ironic and stylishly parodic, Mircea Ivanescu's poetry is a source of intrigue and fascination. A noted translator of English and German literature including James Joyce's monumental text Ulysses and works by Franz Kafka and William Faulkner, Ivanescu is regarded as one of Romania's most important contemporary writers. Centring on a wide cast of characters, including his alter ego 'mopete', Ivanescu's idiosyncratic, lyrical sensibility offers allusive, comic and elegiac meditations on our common lot. Often his poetry is punctuated by moments of the absurd. Reading his poems, one is amazed at the variety of themes that he handles.vMost of the poems have no decisive beginning point, no pronounced closure as well.They unfold like dreams and are disjointed and often have no climax. They are replete with characteristic imageries such as absence, darkness, night, cold, snow, frozen time, memories, winter, fog, death, regret etc. The above is a sampler. Memories are kind time machines that take us backwards. They have huge staying power and some of them could be like lanterns in our dark times.They can be key to our future as well. The line in this poem referring to the incident of a character carrying head in his arms is from Divine Comedy where Bertran de Born, carries his severed head like a lantern (a literal representation of allowing himself to detach his intelligence from himself), as a punishment for (Dante believes) fomenting the rebellion of Henry the Young King against his father Henry II.